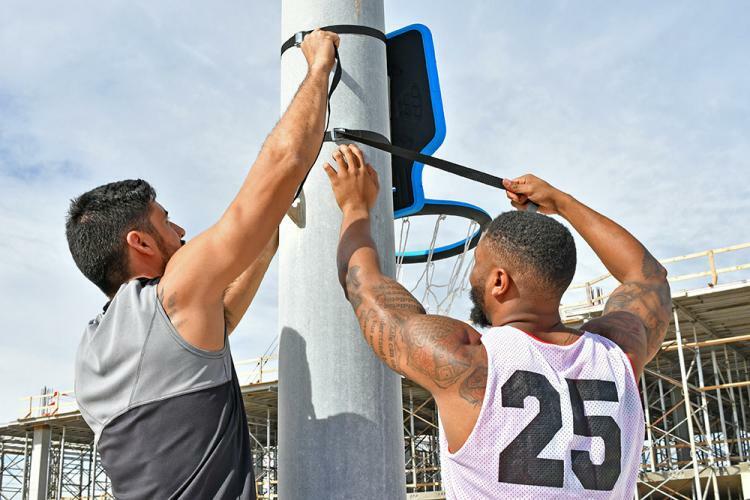 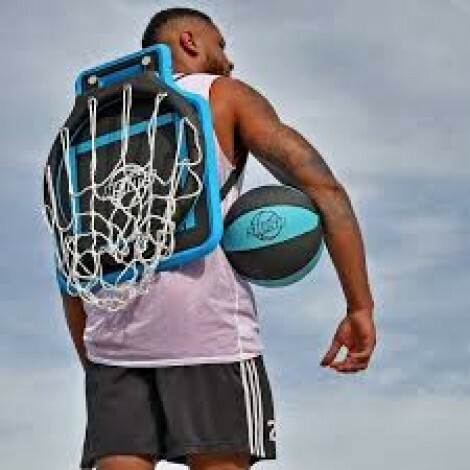 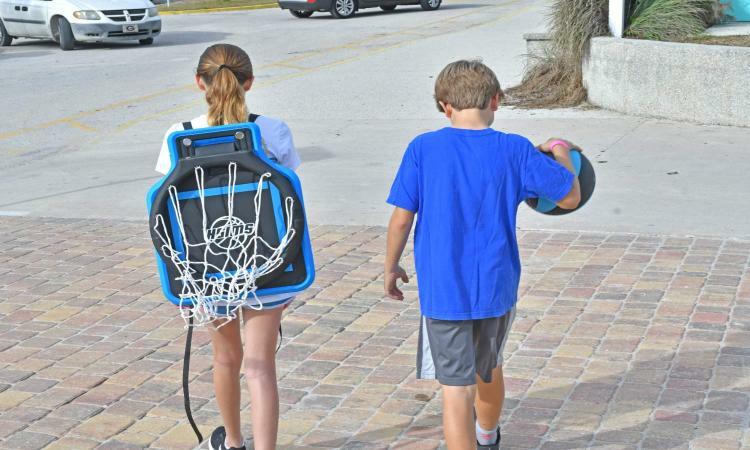 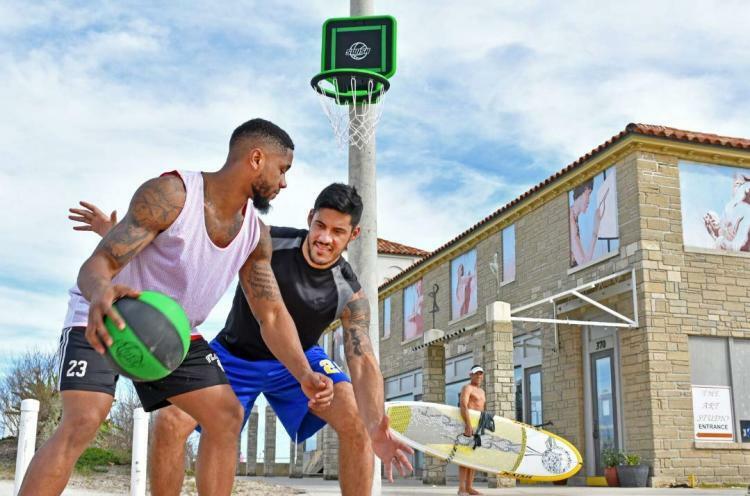 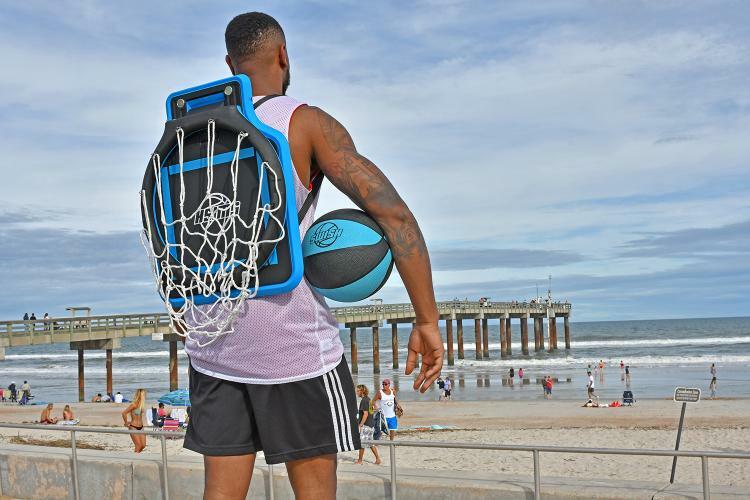 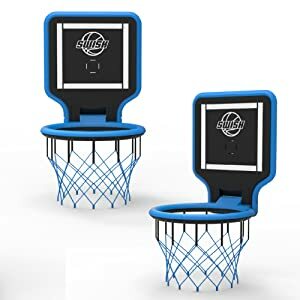 he portable basketball hoop comes with a backboard, rim, and net (with removable net hooks), an inflatable basketball, a handheld air pump (with needle), it comes in a few different color options to choose from, it weighs 2 lbs, and measures 18 x 17 x 20 inches. 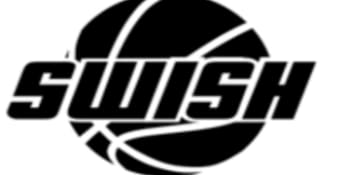 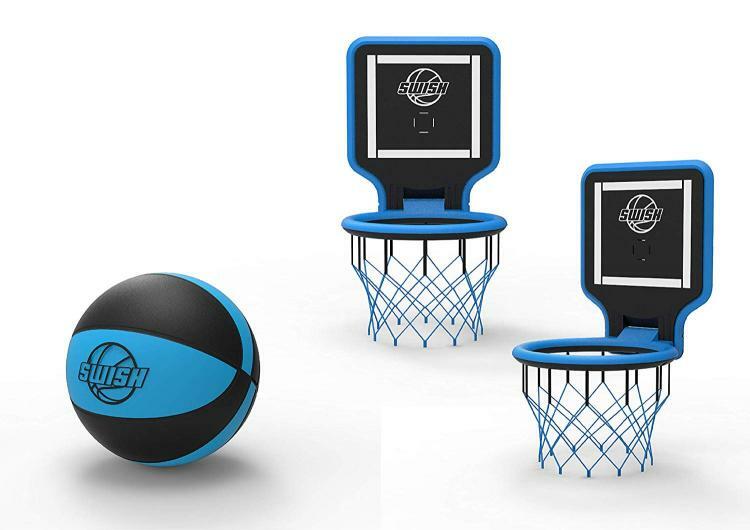 Swish Hoops Package Includes the Following! 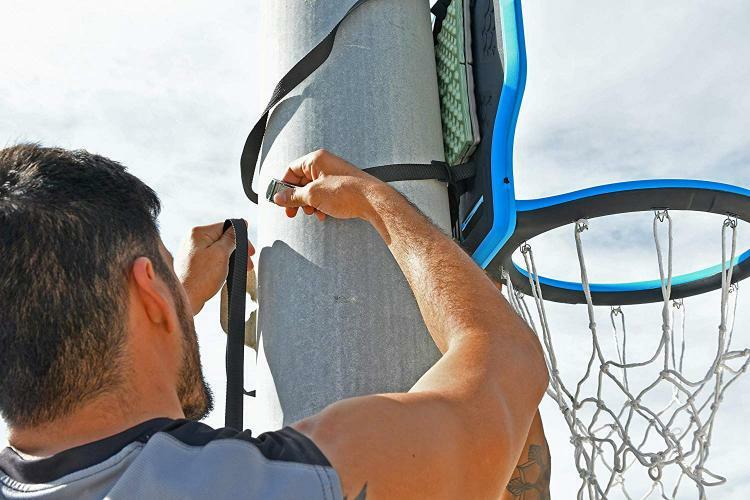 The net is held sturdy to the backboard with a magnetized system so the net wont flop around. 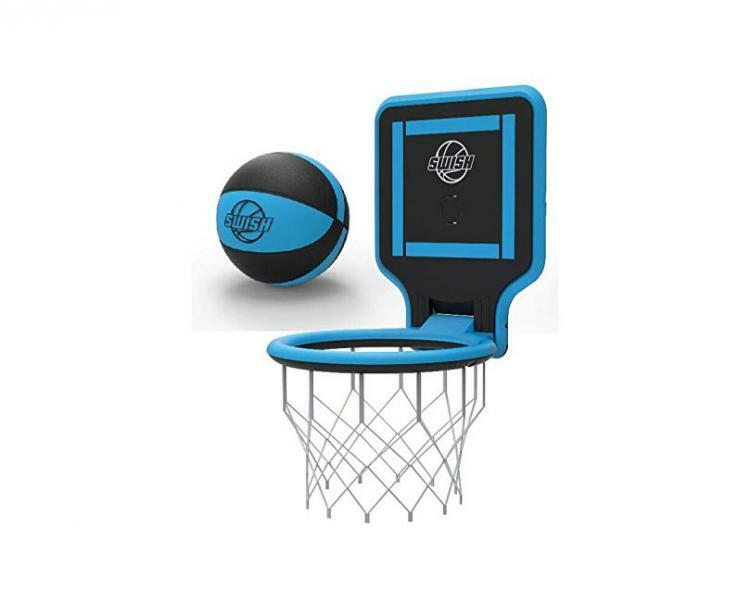 The rim is regulation sized with an 18 inch diameter. 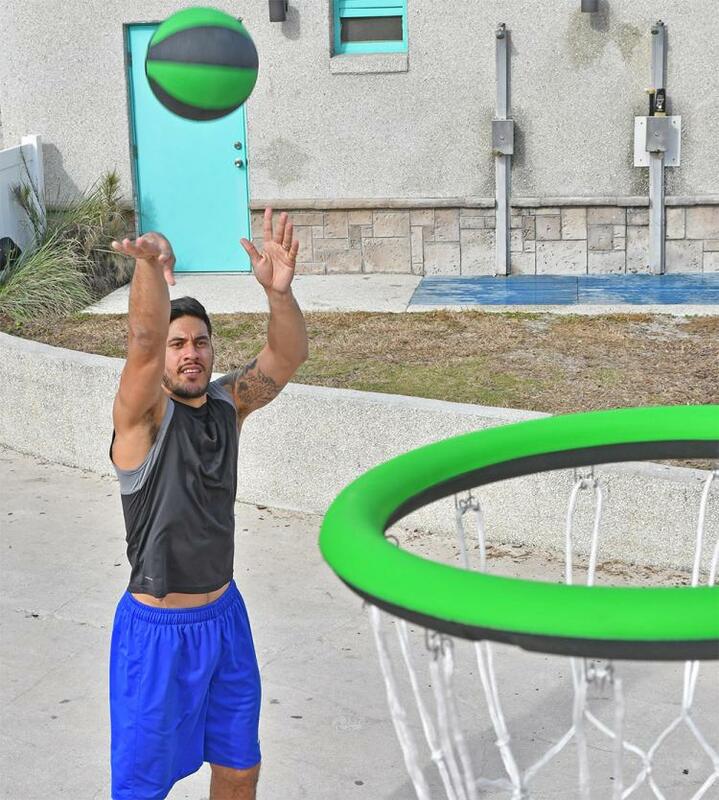 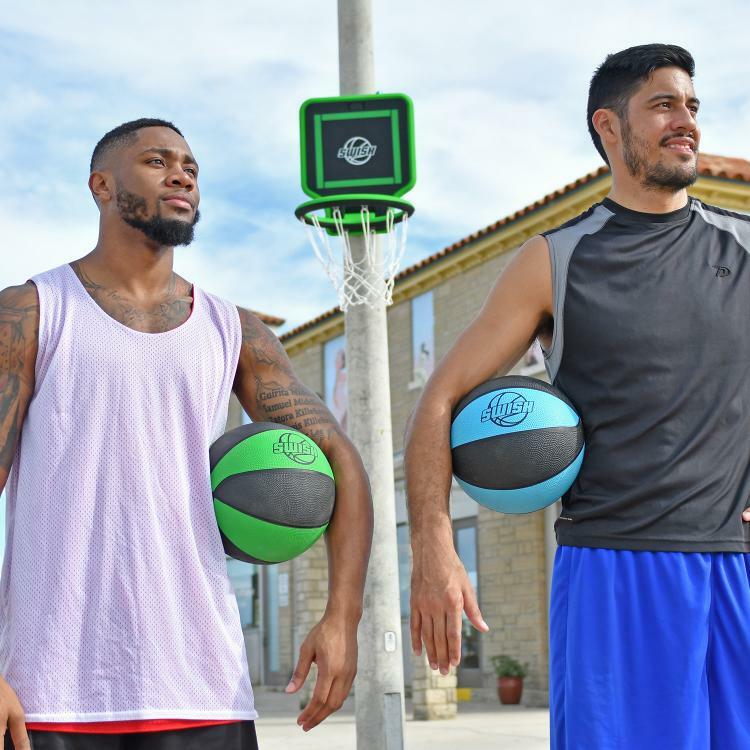 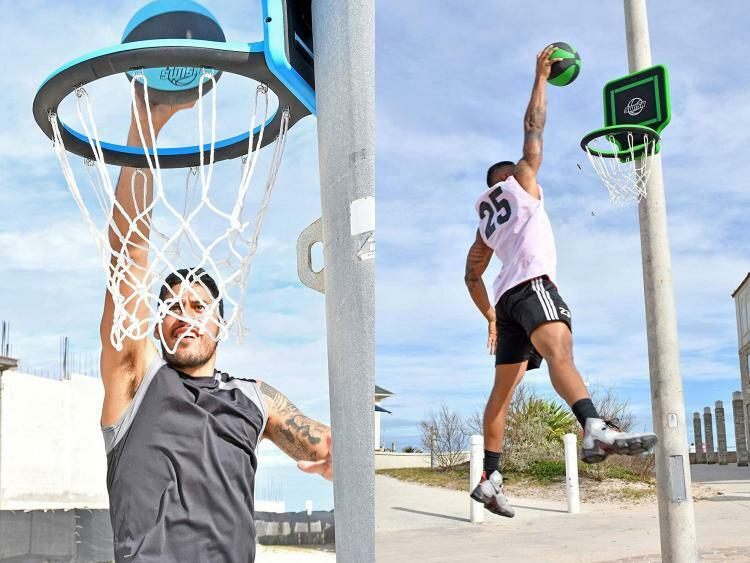 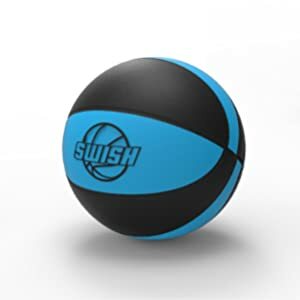 The Swish Portable Hoop comes with a regulation sized basketball, with a 29.5 inch circumference. 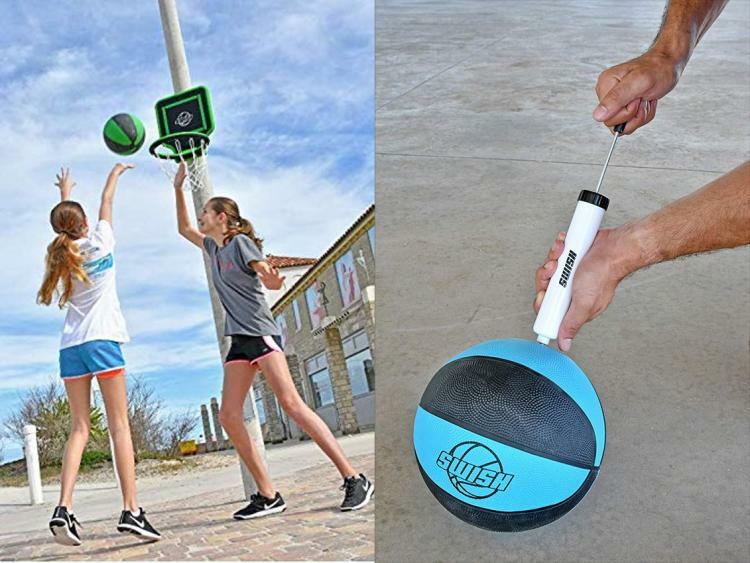 And also a pump so you can begin playing basketball immediately. 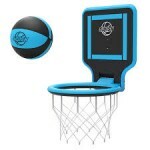 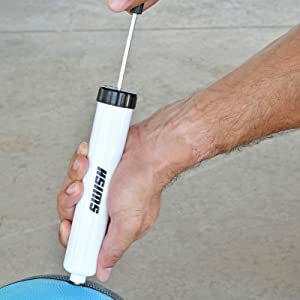 A small hand pump is included so you can inflate the basketball whenever and where you're ready to play.